Over the past few months, the concept of writing a blog article related to the Charismatic Gifts and Movement has been on my mind. While I am not from a Charismatic background over the past 3-4 years I have become increasingly more charismatic in my beliefs and Christian practices and when I was a student at Tyndale was affectionately called a “Pennonite” (a mixture of Pentecostal and Mennonite). There are still a variety of charismatic gifts that I simply do not know enough about at this time to offer any real insight via blog. Therefore, at this present time topics of prophesy and being slain in the Spirit are a bit out of my reach, though I recently read a very interesting book by Dr. James Beverly (a professor at Tyndale) “Holy Laughter and the Toronto Blessing” that deals with a few of the more “wild” types of charismatic movements. One topic that I would like to address, though, is that of speaking in tongues – a gift that I seldom see practiced in Mennonite churches but which I feel could have value for us. This blog will be written from the perspective of someone who does not have much charismatic theological training and with the (perhaps incorrect) assumption that readers of this blog may not be very familiar with this gift and perhaps may never even have experienced it in their faith lives. What Does It Mean to Speak in Tongues? Speaking in tongues is a very moving experience which can take place through prayer or worship in public or in private (I’ll share more about this later). Someone can speak in tongues for a short time or a long period of time (perhaps even for hours). When someone speaks in tongues they may speak in a “Heavenly Language” – one which is not recognizable to the human ear or they may also speak in Ancient languages such as Latin, Hebrew, or Greek. I have also heard experiences where someone from a different country who did not speak a word of English heard the Gospel message in their native tongue from a speaker who did not know their language. Does The Person Realize When They Are Speaking in Tongues? In my case and in the many experiences I have had talking with Charismatic and Pentecostals people do realize when they are speaking in tongues. Some of them have had experiences of knowing what was being said, others of them do not know what they are saying but are engaged in deep prayer. Do Other People Know What is Being Said? Sometimes someone in a group or church may be able to interpret the tongues (more on this later). Other times people do not know what is being said but if they have studied the Ancient Biblical Languages in Bible College or Seminary might be able to pick out a few words thus knowing that the person is speaking in Greek or Hebrew. My Experience of Speaking in Tongues: I have spoken in tongues – not often, but a few times. The first time I began to believe in the power of speaking in tongues was when I attended a Charismatic Church in Richmond Hill with my roomate in my first year of Tyndale and during the service the pastor gave an invitation for everyone who wished to come to the front and to receive an anointing with oil. This particular Sunday the sermon had really impacted me and allowed me to make a decision that I was struggling with at the time. When I got up to the front, the pastor’s wife placed her hand on my shoulder and began to speak in tongues. Up until this time I had heard people at Tyndale talk about speaking in tongues but had never experienced it or heard anyone do it so I was pretty sceptical. The church I attended did not necessarily think it was wrong to speak in tongues but we also didn’t place an emphasis on it or even really discuss it. After the woman was done speaking the pastor began to translate what she had said and everything she had said made such perfect sense to me and was exactly what I needed to hear. Now, I know what some of you might be thinking, “she probably said the exact same thing to everyone else”, but I don’t think that’s the case. What she said was very specific to me and my situation. I have since been to churches where I have seen the gift of prophesy or special wisdom used in the same way as going to see a fortune teller and I’ve experienced those generic things that they say which can apply to anyone at any life stage, but this woman was saying very specific things to me. The other question one could ask is why she just didn’t say all of this in English and I don’t know the answer for that, but I believe I truly did receive a Word from the Lord. At the very end of my first year at Tyndale I spoke in tongues for the first time. This was completely unexpected, but the worship leader during chapel prayed out loud for gifts of prophesy and speaking in tongues and it happened almost instantaneously. It was like my mouth kept running and I was not able to stop. Every time I speak in tongues I do so very quietly and so no one around me actually knew what was happening. My roomate began to rub my back and someone else came up to me and asked me if I was okay. I was not able to talk to them any only said “I just need to be alone”. I ran to my dorm room and continued to speak in tongues for about 5-10 minutes and then it stopped completely. When I came back down my friends said that my face was glowing. My one friend suggested that I should tell my pastor what had happened. To her it was a great thing because in charismatic circles this is evidence of the Spirit in your life, but when I called my pastor I was disappointed because she thought that I was trying to “test her”. Thus, I was not able to share in the same excitement as my other friends did when they had their first experience. After that experience I began to pray to speak in tongues again, but it didn’t happen again for a long time. I had to be alert to the fact that I might be seeking a “Spiritual high” whenever I was feeling down because speaking in tongues that one time gave me an instant boost. However, it did happen again a year later when my friend’s house burnt down and three of us gathered around her and we all began to speak in one tongue and with one voice. That was an incredible experience. And it has happened a few other times as well, but certainly it is not a frequent occurrence in my life. My Theological and Biblical Viewpoint on Speaking in Tongues: I believe that speaking in tongues is a gift which the Holy Spirit has given to us and that it can be used to increase and enhance the Kingdom of God. I used to be one of these people who believed that the charismatic gifts were meant for Bible times only and they no longer have importance over our lives, but the more I study the Word of God the more I disagree with this mindset. Why would God only care about speaking in tongues when it relates to Pentecost or about healing 2000 years ago? I think that God still does care about these things and that He still pours forth these gifts on men and women around the world. After all, you would be hard pressed to find a Christian who DIDN’T believe in the gifts of preaching, teaching, administration, or leadership so why then should we have a difficult time accepting someone with gifts of healing, prophesy, and tongues? The Apostle Paul tells us that we are to use our gifts in accordance to what we have been given – if leadership to the level that we are able to lead and if prophecy than we should prophesy (Romans 12:6)! Even so, I believe that the Bible also is clear that tongues are a lesser gift. In fact, Paul writes that it is better that someone know how to prophesy because this will impact the entire church than that someone knows how to speak in tongues. BUT there is a clause and that is – if an interpreter is available (1 Corinthians 14:5). We also know from reading 1 Corinthians 13 that the greatest gift is love and that all other Spiritual gifts pale in comparison. Paul writes that “Love never fails; but if there are gifts of prophecy, they will be done away; if there are tongues, they will cease; if there is knowledge, it will be done away.” (1 Corinthians 13:8). 1) Many charismatic movements place TOO MUCH of an emphasis on speaking in tongues. This can lead to it being “the norm” to speak in tongues and I have even met some Pentecostals who have “made up” tongues in order to fit in. The understanding is that speaking in tongues is evidence of the Holy Spirit in your life but I don’t believe it is the only evidence we need, in fact, I believe it is of less importance than many other things. These three verses point us to what is truly evidence of the Holy Spirit in our lives. As Paul reminds us in 1 Corinthians 13 – if we speak in tongues but we don’t have love it profits us nothing. 2) I also do not believe that everyone has the gifts of speaking in tongues. It is a wonderful thing when someone is able to do this, but it’s not realistic to think that every single person who joins a charismatic church will experience this. After all, we do not expect everyone to have the gifts of preaching, teaching, administration, or leadership, so why should we place this expectation on tongues? I believe we need to be realistic and accept the fact that no person has every single gift. If we had every single gift we would have no need of anyone else and would cease to be the Body of Christ (1 Corinthians 12). 3) I have witnessed experiences of people screaming and yelling in tongues and I do not believe that this edifies the Body of Christ, in fact, I believe it detracts from true worship. The Bible tells us that we should only speak in tongues out loud if there is an interpreter and if there isn’t we should privately go to our rooms and shut the door. 1 Corinthians 14:18-40 also gives us some very clear details about the order of tongues including not having many tongues given in the same meeting. In my experiences of hearing tongues I have actually only heard an interpretation twice. Now one could ask: “How would I know if an interpreter is present?” My answer would be that unless someone at your church or meeting has interpreted before to speak in tongues silently and not disrupt. I also know that some people can interpret their own tongues, but many of the people I know (including myself) are not in this category. 4) I also don’t think that tongues always need to be interpreted. For the most part, I think tongues are meant to be mysterious. For those who don’t believe in this gift they may wonder what the point is, but for me, it is my deepest time of prayer and is between God and I. For me to know what I am saying in a way ruins the mystery of it. I care less about the words coming out of my mouth and more about my heart attitude while in that deep of a prayer before God. 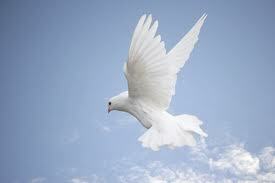 5) Finally, I do think that we need to be cautious about tongues and always test the Spirit (1 John 4:1). Not every tongue comes from God so we have to be on our guard and be able to discern what is truly happening around us. 1) The Pentecostal view of tongues: Speaking in tongues is the initial evidence of the baptism in the Holy Spirit. The baptism in the Holy Spirit is a once only experience. Tongues is for every believer. 2) The Charismatic view of tongues: Speaking in tongues is a gift of the Spirit which usually accompanies the baptism in the Holy Spirit but not always. The baptism in the Holy Spirit is not a once only experience but a continual infilling that can manifest itself in different ways. Tongues is for every believer who desires the gift. 3) Third Wave view of tongues(the term ‘Third Wave’ can be used to describe traditional churches that embrace the gifts of the Holy Spirit): Speaking in tongues is a gift of the Spirit which sometimes accompanies the baptism in the Holy Spirit. The baptism in the Holy Spirit is not a once only experience but a continual infilling that can manifest itself in different ways. Tongues may not be for every believer but every believer is free to ask for it. This post is part of a MennoNerds Synchro-Blog on the topic of Death, Loss, Pain and Grief, July 14-30, 2013. Check out our page on MennoNerds.com <link to http://mennonerds.com/tag/mennonerds-loss/> to see all the other posts in this series. Death. The word harkens a two-edged grin as I type it on this page. A force so violent none can match it. The final battle has been fought and we have lost. Death is no respecter of persons and that’s part of why it has an eerie familiarity to me. If we’re talking about fairness, death is not fair. It takes everyone regardless of their age. It has even taken the lives of people who had so much more to give. It has claimed people by accidents, illnesses, and even a widespread endemic of suicide. It has come like a thief in the night – at times when people have least expected it. A young man who had so much more life to live struck down by its fatal toll. It has also come like an expected friend – a relief to someone who has long fought a hard struggle against cancer or AIDS and now has found their eternal home. Death to me has always been close at hand and yet so far. In my teen years I felt that I was invincible. At the top of my game, doing all the things I wanted to do, and in excellent physical condition. I was running 6k a day for a while, on some health food kick, and socializing with my friends. It seemed that none of us would succumb to the inevitable hand that would one day lead us away from this world. All of this stopped, though, when my friend Colin passed away. Colin was just entering grade 10 and we had come back from a mission’s trip to downtown Toronto when he died instantly in an ATV crash. I was in shock. I had already been to funerals before, but they were all for people much older than even my grandparents. It had not occurred to me that Colin could ever be dead. For weeks guilt riddled my entire body and racked my mind as I thought back to our conversations and our time together. Colin had not only been a friend, but also a junior karate instructor (even teaching me moves far more advanced than I should have known at the time), attended church youth group and Sunday school with me, and played baseball with me. He had an infectious laugh, so much potential, and was truly a caring and spirited person. His death took all of us by surprise. I didn’t understand why God had taken him and not me. For days I kept having dreams that he was still alive, conversing with us. That was the first time I realized how real death was. Over the next few years I had even more encounters with death. My good friend, J.P. also passed away. He was in his late 90s and was a faithful church attender. He was so encouraging every time I did anything at church (whether that be preach, worship lead, or sing in a group). He always used to say, “That one there’s going to be a pastor, I can already tell.” When I started learning the sound system he always walked to the back of the church to where I was and said, “It’s so great to see a woman doing this.” He was the first person to greet me as soon as I walked in and the last person to say, “see you next week” with the biggest smile you could ever imagine. When JP died I faced a strange feeling – one of grief. I was obviously grieved over my friend Colin, but tears have a strange way of rarely making it to my face. In fact, for years it bothered me that I couldn’t cry if I was sad, but if I was angry the hot tears wouldn’t stop. At JP’s funeral I cried. And this bothered me. Not because JP was not deserving of my tears – he was an incredible man with a huge heart and a big faith – in fact, he used to be a pastor. It bothered me because I had not cried at my Oma’s (grandmother’s) funeral two years before even though Oma was my hero and the family member I related the closest with. I felt like a horrible person – how could I cry at the funeral of a man I hardly even knew (but who was always there Sunday after Sunday) but not at my Oma’s funeral – the woman I knew the most. Death has a strange way of playing on your emotions. I have learned that whether in death or life there is no shame to any emotion you might face because emotions are what make you alive. I have also learned that I grieved for my Oma, for JP, and for Colin in different ways. There is no right or wrong way to grieve. Even though death has never been a topic of comfort or hope to me and it is one I try to avoid, I have learned that it is also a holy time. A nurse in my small group described it as a way of “birthing into a new dimension” – as a type of spiritual midwifery. For those of you who aren’t aware, midwifery has long been a passion of mine and I have spent years studying books related to this topic. Unfortunately, as of now, I have never done official schooling for this, but hopefully one day I can. When I think about death, I definitely do think that there is a type of coaching and birthing attached to it. There are so many lessons one can learn by being with the dying, by holding their hand, by actually being there when they move from this world to the next. During my short time volunteering at a hospice, I have sensed a certain feeling of normalcy as people go through the day visiting the dying. Death is not feared, it is embraced. In my interview I told the director that the Jews have a way of viewing death which I have adopted as my own: to live is a miracle, and to die is also a miracle. I sensed a certain feeling of hospitality attached to being at a bedside or at the hospital – the person is letting us in to their most vulnerable time. They are truly allowing us to experience a time of anxiety and tension for them. I have sensed this again and again as I have volunteered at nursing homes and in other capacities where death is not seen as a threat, but seen as a natural progression to the next stage. I’m also reminded of the phrase in one of the Touched by An Angel T.V. episodes where Monica (one of the angels) experiences life as a human for only a few minutes and is told that roses are redder, flowers smell sweeter, and the sounds of birds are fuller because we only have this one life to live. As we go through life we do not have to fear even when we “walk through the valley of the shadow of death” because we know our God is with us and He has conquered death by sending His Son to die on the cross for our sins. We do not have to spend each moment questioning what will take place when we leave this world, but we do need to be eternally prepared for what lays ahead. We can do this by trusting in the Word of God and relying on Him. An Added Note: As I went looking on Google images for a suitable picture for the blog I noticed that the first several pages were full of eerie and creepy pictures that were very dark. The North American culture has such a way of twisting death to be something scary, unfortunate, and feared. It’s not a polite dinner conversation and even people who are well into their 80s wince at it. I have visited many a resident in both the nursing homes I interned at who were terrified of the inevitable and wanted reassurance that they would go to heaven. These were some of the most devout Christian and religious people you will ever meet in your life who have lived in such a way of always putting others first. I also had the opportunity of meeting many people outside the Christian faith and the white/North American culture during my time in Toronto. Some of the beliefs surrounding death in the Jewish and Aboriginal communities especially (as well as many other religions traditions) are simply beautiful. Additionally, I have learned that some cultures speak openly and frankly about death in such a way that they edify it or at the very least don’t fear it. During my very recent visit to Italy I had the opportunity of going to the Capuchin Crypt. While there we were able to witness the bones of many friars from days long past. The Friars had a beautiful way of embracing death. They knew that it was inevitable but rather than fear it, they saw their lives as a temporary shadow of the life to come. They embraced death knowing that life was but a transitory phase preparing them for what lay ahead. They saw their bodies as instruments of worship and death as the ultimate act of a doxology to God. I long to learn from these experiences as I come to the place of welcoming death in my own life – not in a morbid sense, but in the sense of holiness. I’m an extrovert. Simply put. I don’t know if there is any more that I need to elaborate on (now the introverts are shaking their head). Actually, funny thing is all the roomates I have ever had (except for one) were introverts, and they were all very devouted Christians. I always was slightly jealous of them (although I know as a Mennonite I shouldn’t have been), but it seemed like their quiet times and their devotional life came to easily to them. Whereas, here I was struggling to keep my mind from wandering to the next thing. The increasing silence suddenly enveloping me like an unwelcomed friend. Thankfully, had it not been for the example of these roomates I don’t know where I would be today. Although it was very difficult to find the rhythm and although it’s something I’m still working on and struggling through, eventually silence became a welcomed friend. A singing bird which brought me hope in the constructs of my busy day. The funny thing is that once spiritual disciplines (especially silence) became more important to me I actually started understanding why introverts can get drained after a long day of work or school. The process began with a simple sheet of paper that was circulated to us on our first day of formation class at AMBS. The paper included some simple questions about the spiritual disciplines that we wanted to hold that year and how we were going to go about practicing them. The professors wanted us to choose corporate as well as personal disciplines. Now the corporate disciplines, those were easy. I had come 3 months before school even started and already was attending every potluck, every chapel, and every group prayer meeting. I had become a member of a small group early on and was loving my new church. The personal disciplines… well, they didn’t come so easily. I’ve always been skeptical about spiritual disciplines. They harkened back a time in my teenage years when Lectio Divina were two words with very little meaning, when I dreaded youth events that centered around prayer and when I though “Guided Meditation” were two words that signaled in “New Age”. Nevertheless, I begrudgingly wrote down a few disciplines I was going to try. The nice thing was that two of my classes also required disciplines and so I just used the same ones for all of them – rather than doing 50 different disciplines I had isolated just a few of the ones I hoped would become important to me. Above all, I wanted to practice hospitality to others in our community – including through my personal interactions. When I was at Tyndale I used to pray this prayer every morning, “Father God and Mothering Spirit, thank You for this new day with the new opportunities and challenges that it will provide for me. I pray for everyone that I come into contact with today that I would serve them as Your hands and feet. That I would provide a cup of cold water when they need it the most, a word of encouragement when all they see is pain, and a word of hope when the darkness envelopes them.” And that prayer changed my entire life because it changed the way I viewed people – especially the ones who seemed to have no agenda than to make my life difficult (I will pause here and say, I’m sure others prayed similar prayers and could say the same about me – the extrovert who was driving them completely crazy all the time!). I wanted to truly learn how to listen (something I admit to still have a bit of trouble doing) and to truly care about what they were feeling and going through (again, something I’m working on). Among my key disciplines keeping the Sabbath became very important to me and transformed my way of thinking. And then there was one more – it was the discipline of prayer and silence. At first that was really hard for me to do. I’ve never been much of a prayer. Up until this year my disciplines have been solely spiritual direction and journaling. Yet, I began to pray first using “Earth Gospel” by Sam Hamiliton-Poore and then using the Anabaptist Prayer Book (both very well written and helpful guided meditations). I began to pray three times a day – first thing in the morning, sometime in the afternoon (just taking a pause in between classes) and then in the evening. I tried at first to be silent and found that to be almost impossible. I’m not too down about it, though, because I have learned that silence is a practice you build up to. You don’t start with 1 hour of silence, you start with about 5 minutes. Those five minutes then turned into 10 and eventually 15. They were times of praying using the rosary, repeating the Jesus prayer, and listening to Taize. One of my favourite disciplines has become listening to “O Lord Hear My Prayer” (https://www.youtube.com/watch?v=f51n-yb11dY) stopping the song after each phrase and offering my own prayers to God. To all the extroverts out there who might be reading this – I know that silence is hard! But it’s also so important! In fact, after my semester of spiritual disciplines I have become very interested in taking a silent retreat for a weekend. I know I was “hate” it, I also know that’s all the more reason to do it. When I started being silent before God and actually trying to pay more attention to listening and to prayer (both definitely still areas I struggle with) I was able to hear His voice more, discern direction, and even felt calmer. I’m a pretty hyper active person, but listening to Taize or praying the rosary even for 10 or 15 minutes completely calmed me down and recharged my batteries. 2) Start small – if you start too big you’re just going to get discouraged when it doesn’t happen. Start with an attainable ideal and build up from there once you get comfortable with that goal. 3) Be realistic – don’t try to do 15 spiritual disciplines in your first go. Try to isolate one or two practices that are important to you. You can even have a “discipline of the week”. 4) Know yourself – if you’re an extrovert who easily gets distracted in the presence of others removing yourself from being with them. Set aside a certain time each day (praying at a certain hour makes it more likely that it will happen versus those who do it more spontaneously though everyone is different). During that time, go to your room, shut the door, and pray. Or go out into nature with your journal, sit down, and don’t take your cell phone with you. 5) Most importantly – DON’T BECOME DISCOURAGED!!! I cannot say enough how important this is. There may be days that you forget to do your spiritual discipline, don’t make the next day’s twice as long. There may be times when your spiritual discipline seems to be more meaningful than others (this is completely normal). After 6 months or 1 year you might be struggling in much the same ways as you were before you started disciplines – maybe you still talk too much, you still are hyper, or whatever – be patient with yourself. Habits like this take a long time to fix, but the important thing is to be aware of them and to try your best to improve upon yourself. Hopefully these suggestions are helpful to you in your spiritual journey. Happy silence! “Deborah, it’s your turn to pray.” More silence. “Deborah, come on. 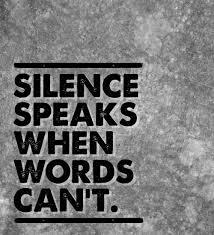 Even just say one line.” More silence. Finally, I mumbled some type of awkward prayer and left it at that. I was thankful when the youth pastor had moved on to the next person – my sweating had stopped. As funny as it sounds, I didn’t learn how to pray until I was 17. I didn’t learn how to be part of the “Praying culture” until I was 18, and I was 20 by the time prayer became breathing to me. I grew up in a Christian family with two very devout Christian parents. I went to Sunday school and joined the ranks of “good little church girl” early on. I also rarely shut up, but I never did know how to pray. When left with my friends I could carry on a conversation for quite some time, which has both its blessings and curses (more on this later), but praying never was something I felt comfortable doing. In fact, when I was about 12 my parents and other family friends began suggesting that as the “future pastor” I should be the one to lead the graces over meals. I disliked this very much and I used to dread having people over for that reason. As the buttered beans, red fried potatoes, and chicken were getting cold, here I was bumbling over the words. It seemed like an eternity. Fast forward to over 5 years later when I sit here and have soaked in prayer. One may wonder: how did this happen? It was a process. It began with a gentle encouragement from our leader at the !Explore program (a summer theological camp for high school students in grades 11 and 12 at AMBS in Elkhart, IN). We were working through the Anabaptist Prayer Book (a liturgical collection of prayers centering around the olden day version of prayerful worship – Scripture, hymns, silent reflection, and prayers). At the beginning of the week I never prayed out loud. Ever. Like I said, I’m an extrovert, but it just wasn’t my thing. Eventually I challenged myself to say one line in the prayer and it just took off from there. Within a few days I challenged myself to lead the evening prayer and then before you know it I was participating like everyone else. That was my first experience of prayer and I am truly grateful for it. When I started attending Tyndale University College I was introduced to a whole new type of prayer culture. The Tyndale culture was one that embraced prayer as the most important spiritual discipline one could have. We prayed together in small groups during chapel, we prayed together in our Formation class, our professors prayed before every single class – that one really caught me off guard! Eventually, a challenge was issued in our formation class: get together with a small group of men or women and start praying on a regular basis. I took that call seriously. Although I often admitted how nervous I felt leading such a group – how unqualified I really was (yes, my heart did flutter each and every time), God really used my simple Facebook post, “I’m interested in getting together with a group of young women on Monday nights for prayer and testimonies – who wants to join?” to create a network of some of the best friends I have ever made. Our prayer times were so Spirit filled because many of the women had such a deep faith. We rejoiced with each other when we saw prayers answered right before our eyes. We grieved with each other over the difficult things that life sometimes throws at us. It was a humbling time. At first our group remained open to any woman at Tyndale, but eventually we found our rhythm and created strong bonds with each other where we could truly be vulnerable and we left it at that. One of my favourite things about this group was that if at any time (whether or not it was a Monday) someone in our group had an urgent prayer request they would stop us in the hall and say, “I could really use prayer for ____” and someone would offer “would you like me to pray about that right now?” It truly inspired me. So often I’ve told people I would pray for them and my prayer list gets so “bogged down” that I just forget about it. I’ve also been very self-centered in my prayers at times only asking God for things that I need, but to truly stop what you’re doing an offer a prayer for a wounded sister right then and there has extreme power. So strong was this praying culture at Tyndale that it extended to a 6am prayer meeting in the student lounge where I met my mentor who I chose because the more I listened to her prayers the more I saw a woman of God in her. If no one came we would still pray, if more people came then hallelujah! One time I was very sick and was not able to get out of bed. My mentor took that morning to intercede on my behalf! Although still sick I managed to come to class around 2:30pm, my mentor hugged me – God had answered prayers! My first year roomate and I also decided to pray together every morning. We called this time our “communion”. Although as a Mennonite I might have a few problems with this, theology aside, it was an incredible time. When my roomate moved out in my second year we still had times of praying over the phone early in the morning before her job started. When I went to AMBS, I found a completely different prayer culture in my midst. AMBS uses the Anabaptist Prayer Book (APB) and also prays the Psalms. Personally, I have found the Psalms to be the best prayer book and they offer great comfort during some of my darkest hours, but I didn’t find this to be enough. After Tyndale, it seemed strange to me to have to use guided prayers (because at Tyndale we just listened to the Holy Spirit directing us). Also, I found the prayers to be “too tame” because at Tyndale at any moment someone could start praying in tongues and sometimes we would all pray in tongues together. Although I struggled at first to be part of the APB experience, it eventually seeped deep into my soul and became a huge part of who I am (I will talk about this in my second post). Throughout my year at AMBS I learned that there are different types of “praying cultures” and that one is not better than the other. Sometimes I crave the free prayers we had at Tyndale, other times I embrace the solitude that the APB affords me. The important thing to me is simply that we are praying WITH and FOR each other. I know that prayer changes situations and it also changes people. I’ve heard very theological prayers from my friends at Tyndale and at AMBS, I have also heard the earnest prayers of people with down syndrome and autism during my overnight stays at L’Arche. God sees our heart. He knows our motivations. He promises that before a word is on our tongue He knows it already. This is such an encouragement for us. We serve a God of miracles. God is more than willing to give us what we need – all we simply need to do is ask. ** Note: As I have said, each praying culture (although unique) can be spirit filled and an important time. Studies have actually shown that people who are suffering from mental and physical illnesses have improved when they (and others) were praying for them despite which god they were praying to or in what way they were praying. That’s why I’m a huge believer in ecumenicity and inter-faith! At the same time, my time at Tyndale and at AMBS has taught me that what works in one praying culture may not work in another. At L’Arche each house prays slightly differently because the needs of residents and staff are so varied. At Tyndale when I tried to pray the APB with my friends they simply didn’t like it at all. They asked on the first try if we could simply offer free prayers instead. At AMBS I tried to lead a free prayer morning one time and only our campus pastor showed up. I have learned that rather than take this personally we need to realize that the needs of those we are serving are more important than our own needs and preferences. In fact, you may even learn after a while that there is something to be said about the spiritual disciplines and prayer practices you dislike doing. Mennoneds is made up of a group of women and men who are interested in theology, church policies, spirituality, peacemaking, and other relevant topics. 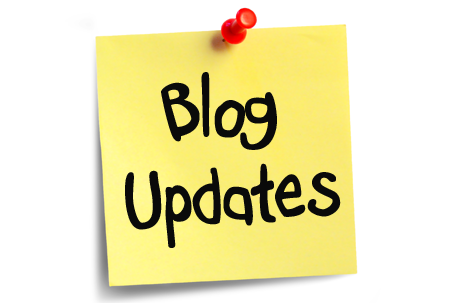 If you go to our website you’ll notice that we have feeds into the main page showing the latest topics we have all blogged about. We even have a newspaper that comes out now with highlights and we’ve even been doing some Google Hangouts to talk about things live. Hopefully some (or most) of you have actually checked out Mennonerds. I know that there are a few people who follow my blog but don’t follow Mennonerds, and so I’d like to let you in on the top 10 blogs that I have come upon in June and July. 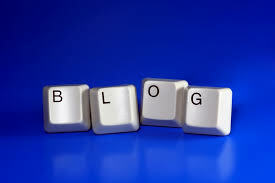 Starting in August, I will be posting once a month with the top 10 blogs that I have come across that month. This way, you can all get a taste of what others in our group are saying rather than just my own opinions. Without further ado, here are the top 10 blog topics for June and July. DISCLAIMER: You’ll notice that this month I don’t have any blogs written by women. The women that I blog with on Mennonerds are indeed very talented and I’m so happy that we have both genders represented in what we’re doing (so important). The fact that I haven’t chosen any of the females this month has nothing to do with my overall opinion of them or their writing ability. A short story about Ryan’s encounter with a homeless man and how it impacted Ryan and his ministry. Ryan challenges us to think about what it really means to be “taken advantage of” and urges us to explore our current perceptions of those who are different than us. In this blog post, Jamie interviews Amy Sampson daughter to a woman who has schizophrenia and who wrote a book on our views towards mental illness in the church. Very powerful and important for pastors and lay leaders to read as mental illness affects virtually every church and yet so often we don’t know what to do about it. Scot explains to us the importance of pacifism drawing from early church convictions and challenges us to re-evaluate what it truly means to bear Christ and not the sword. Cute, light-hearted, and down to earth – but with an important message! Robert shares a story of how his daughters learned about the importance of different “flavours” of Christians while attending a Lutheran church one Sunday. It takes me back to a time in my own life when I was 16 and attending the Mennonite Church Canada conference in Abbotsford, B.C. Speaker, Mike Preschon said, “You can’t be a vanilla Christian – you gotta be chocolate, rocky road, or something!” I guess that was an important thing for me to hear given that I still remember it several years later. A humourous blog post about some of the common complaints we hear in churches today and how things would have been different 400 years ago with the early Anabaptist reformers. A more serious post about the importance of understanding and doing theology and how bad theology can create dangerous churches. Ryan reminds us that even atheists have a theology because theology has to do with our world view. A great piece for seasoned theologians, amateur theologians, and people who just randomly come across this page alike. A personal story about Kevin’s journey to the Mennonite church. Personal stories, especially from non-ethnic Mennonites who have joined the church are always welcomed and appreciated because they act as testimonies, encouragements, and challenges to us to reach out. An important blog post discussing one of the Ten Commandments that often seems to get ignored. We know what Sabbath is but how exactly do we keep it? It’s one of those commandments that is easier said than done. Ryan gives us some pointers and helps us to understand that it’s not about duty or “checking off a box”, but rather about the motivation of our hearts. I first met Andrew when we were both students at Tyndale University College in Toronto, Ontario and have since learned much from him through his blogging and just through conversations together. I have found Andrew to be a deep thinker and one who does not easily give into popular opinion but rather approaches theology logically and with caution. In this post, Andrew wrestles with the liberal vs. conservative issue suggesting that one really doesn’t need to choose only one camp and that labels are passee. His blog links to another article which makes an argument for liberal Christianity. Although I would identify myself as a liberal Christian I do have some issues with this article. My main issue is that this article makes liberal Christianity exclusively about LGBTQ issues. Although many liberal Christians are in favour of LGBTQ issues, this is not the one and only area nor is it a “be all end all”. I have known several liberal Christians who actually are not in favour of LGBTQ and believe it to be a sin. I also know of many liberals who believe we need to approach it with caution and weigh both sides of the camp equally despite their personal opinions. So, I have a bit of a problem with the author suggesting that to be a liberal Christian means solely to be “gay-friendly”. Here’s one for all you pastors out there! Robert shares a circular with us about what makes a good preacher – with a sharp twist and surprise at the end! Here Justin tells us how people first came upon his blog. He shares the most common Google search items that have led up to people (hopefully) being enlightened by Anabaptist theology. No real reason to share this except that Tuesdays always seem to warrant some light heartedness plus it’s is the day that Canadians had to go back to work after our long weekend. HOME: This is what I refer to as the “blog proper”. It’s where I wrestle primarily with theological debates, write ramblings that you graciously read, and discuss in story format what I’ve been learning recently. Occasionally I also share my sermons, poetry, or short fiction stories or pieces which I wrote a few years back but am only putting on the web now because I didn’t have a blog back when I wrote them. About: Here’s the page where you can read up on who I am and what I do. It’s also the page that provides you with contact information -an email address if you have questions or comments that you wish to ask privately rather than publicly or if there is a topic you want to see me address on this blog. You can also email me at any time to yell at me if you think I’m using bad theology :). The about page also introduces you to the Mennonerds website (a collective of Anabaptist and Mennonite writers from around the net that I blog with) and also introduces you to State of Formation (a group of scholars from various religious and ethical backgrounds and traditions who I have recently started blogging with). I’d encourage you to check out Mennonerds and State of Formation for fresh new perspectives from people who are generally more experienced and have more education that I do. Deborah’s Publications: Here’s a page that lists the majority of articles that I have published outside of this blog. The purpose of this page is simply to be used as a resource – if there’s anything of interest or you are simply interested in what else is out there. I’m very open to allowing you to use any of my materials as long as you are using them in ways that promote peace and as long as you retain my moral rights. Sabbatical Journey – My Time at L’Arche – Here’s the page that I will update frequently (hopefully at least once a week) with stories about my time at L’Arche. When people found out that I was working here they were all very interested in my work and plus it will be a way to keep connected with family and friends back home and from seminary. Unlike the main blog, this page will be emotionally charging, devotional, and without theological ramblings. The Topicals: I have long had an interest in writing on topical series. Since my mind is rather random, I know I can’t really survive just written on one topic with no breaks to other topics, thus, I’ve decided to put all of my topics into one page here. If there’s a certain topic you’d like for me to address, just let me know. The first topical series that I have placed here are journal entries from my time as an intern at the pregnancy center. I have changed names and identities as well as the organization for the sake of confidentiality. Please note that at present I am thinking of possibly making a new blog for L’Arche for for my topicals, but have not done so yet. We’ll try it out first using the page system and depending on how that goes I may or may not branch out. Thank you for your faithful reading of my blog. I appreciate having you on board!